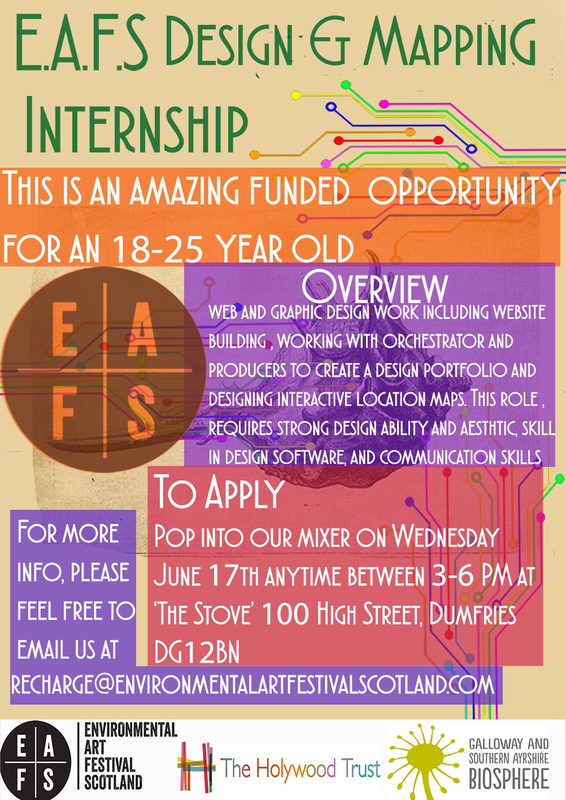 The Environmental Art Festival Scotland (EAFS) has two Internships (with stipends) to help with the 2015 Festival at the end of August – one focused on Design and Mapping and the other on Production. If you are interested there is a ‘drop-in’ session at The Stove in Dumfries on the afternoon of 17 June. If you can’t make it to Dumfries next week then contact Jan Hogarth directly on jan@wide-open.net . This entry was posted on June 12, 2015 at 8:30 am and is filed under News. You can follow any responses to this entry through the RSS 2.0 feed. You can leave a response, or trackback from your own site.